We are a leading Manufacturer & Supplier of Perforated Cable Trays such as Perforated Type Cable Tray and GI Perforated Cable Tray from India. 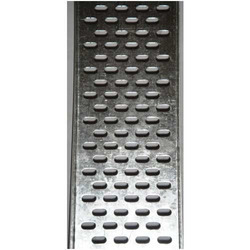 We are engaged in the manufacturing and supplying of premium quality GIPerforatedCableTray to the esteemed customers. Offered trays are stringently checked by our quality controllers on several of their check points. 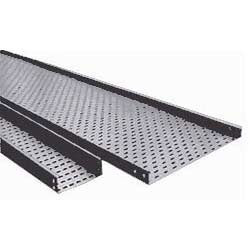 These cable trays are widely demanded by our clients for their seamless finish, light weight and cost-effectiveness. Moreover our offered trays are highly resistant to heat and corrosion. Our organization is instrumental in the manufacturing and supplying of optimum quality PerforatedCableTray to our prestigious clients. These trays are precisely manufactured under the strict supervision of our manufacturing professionals in compliance with industry laid parameters. 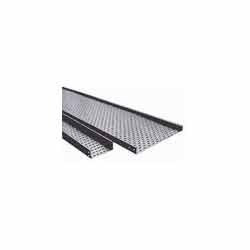 Offered cable trays are appreciated among the clients for their unmatched quality, dimensional accuracy and nominal market prices. Backed by a team of our efficient manufacturing team, we are engaged in the manufacturing and supplying of optimum quality Perforated Cable Tray. These cable trays are appreciated among the clients for their rust resistance and seamless finish. Furthermore, the offered trays are ideal to withstand in extreme temperature and pressure. Besides, these trays are availed at customized grades and dimensions. Looking for Perforated Cable Trays ?